An expression inside a function or task can be extracted to a local variable. Select the expression and press Ctrl+1, select Extract to local variable from the list of quick assist proposals and press Enter. 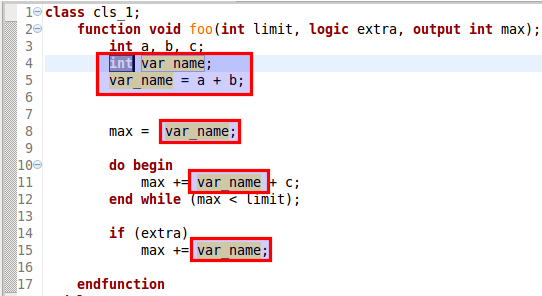 The variable is declared and initialized with the extracted expression in the correct scope. Tip: You may change the variable name and type. Press tab to switch between the edit boxes. Tip: If the expression occurs multiple times throughout the function, you may chose to replace all the occurrences with the newly created variable, or only the selected one.